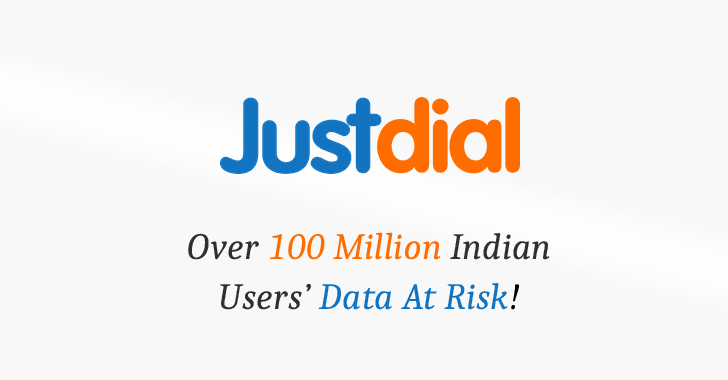 Rajshekhar Rajaharia, an independent security researcher, yesterday contacted The Hacker News and shared details of how an unprotected, publicly accessible API endpoint of JustDial's database can be accessed by anyone to view profile information of over 100 million users associated with their mobile numbers. 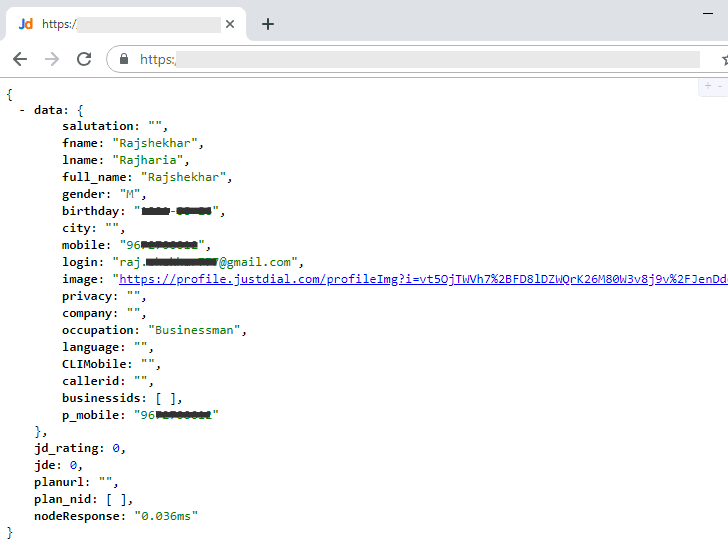 The leaked data includes JustDial users' name, email, mobile number, address, gender, date of birth, photo, occupation, company name they are working with—basically whatever profile related information a customer ever provided to the company. Though the unprotected APIs exist since at least mid-2015, it's not clear if anyone has misused it to gather personal information on JustDial users. Although the unprotected API is connected to the primary JD database, Rajshekhar revealed that it's an old API endpoint which is not currently being used by the company but left forgotten on the server.